In the US, we waste roughly 40 percent of all the food we produce. This is totally unnecessary — and it’s an environmental disaster. Food production is a resource-intensive process, requiring water, energy, land, soil, human labor and an elaborate web of production, processing and distribution infrastructure. When we throw away food, all these resources are squandered: in the US, food waste consumes 21 percent of our freshwater, 19 percent of our fertilizer, 18 percent of our cropland and 21 percent of our landfill volume. And it’s not just an environmental concern. We actually literally pay the cost of food waste. According to ReFED’s comprehensive Roadmap report, every year, the US spends roughly $218 billion growing, processing, transporting and disposing food that never gets eaten. US consumers now throw away roughly 25 percent of the food they buy, which costs the average household of four an estimated $1,350 to $2,275 per year. Most of this food waste ends up in landfills, where it decomposes anaerobically, creating 23 percent of all US emissions of methane, a potent greenhouse gas that exacerbates climate change. The extraordinary waste of food is even more lamentable given the shameful reality that 50 million Americans struggle with hunger every day. What the US spends on growing, processing, transporting and disposing food that never gets eaten. Before grocery shopping, make a plan. Think about the meals you’ll be cooking this week, the ingredients you’ll need to buy and what you already have in your kitchen. Pro tip: Cook down your pantry. Start your menu planning by looking at the ingredients you already have and creating meals around these. Tech-savvy cooks may enjoy the many useful meal planning websites and apps. 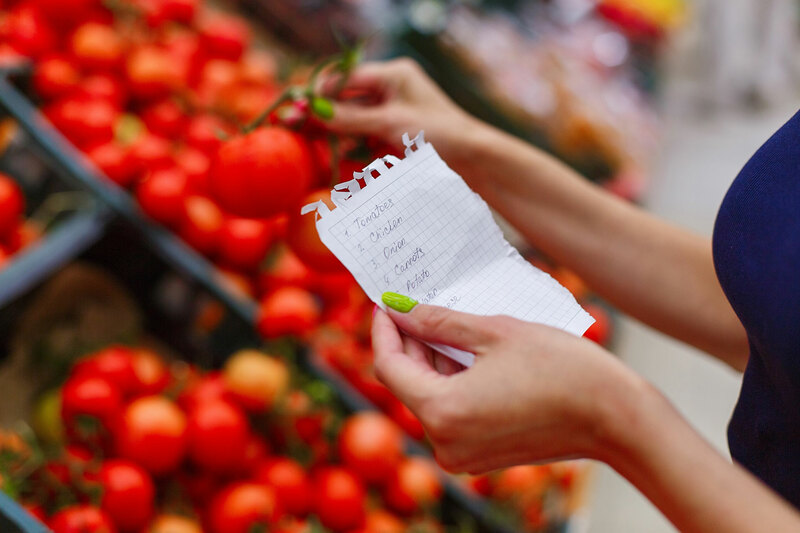 Use an app like Grocery IQ to help build your shopping list, or go retro and make a list with old-school pen and paper. Either way, you’ll be less likely to pick up random items that may go to waste. Cross check your list with your pantry to make sure you’re only buying what you need. Keep your shopping list near the fridge so you can add items as you run out. Don’t buy more than you can eat. While cooking a whole bag of rice sounds like a good way to use it up, can you eat all those grains in a week? And be smart about sales. Will you actually eat all five watermelons on sale for the price of one? It’s not a bargain if you won’t be able eat it. If possible, avoid big monthly shopping trips and only buy ingredients for a few days. Combining trips to the grocery store with visits to the farmers market is an easy way to add in a second produce pick-up each week. Not only will this decrease your likelihood of wasting food, but you’ll also be eating fresher food that hasn’t spent weeks in the fridge. When creating your menu plan, think about which ingredients spoil quickly — raw meat, fish, leafy greens — and use them first. Don’t let that moldy cheese lurk in the back! Use a system like First In, First Out to arrange your food in order of freshness, keeping older items near the front, and newer, fresher products in the back. Some savvy cooks create a Eat Me First box in their fridge, placing the foods that need to be used right in the front. Visit Love Food Hate Waste to find a recipe that incorporates whatever soon-to-spoil ingredient you have on hand. Keep your kitchen stocked with staple ingredients — things like canned beans, pasta, rice and other grains — so you’ll always be able to make use of fresh foods you have on hand. A dinner party for four can’t eat two and a half gallons of coleslaw. Leftovers are great, but only if you’re willing and able to eat them. Avoid making too much food by adjusting recipes to match the number of servings you need by using Love Food Hate Waste’s guide to serving sizes. Ask for a doggie bag. If you went to a store and bought two shirts, would you throw one in the garbage before leaving? No? Well then why would you toss perfectly good food at a restaurant?! If you don’t finish your meal, bring it home. Even if you can’t eat the leftovers, you can add them to your compost bin to keep the food out of landfills, which many restaurants don’t do. Eating leftovers can save time, effort and serious cash if you eat them for lunch instead of ordering out. Turn old rice into fried rice, extra pasta into a frittata and last night’s roasted vegetables into a breakfast hash. 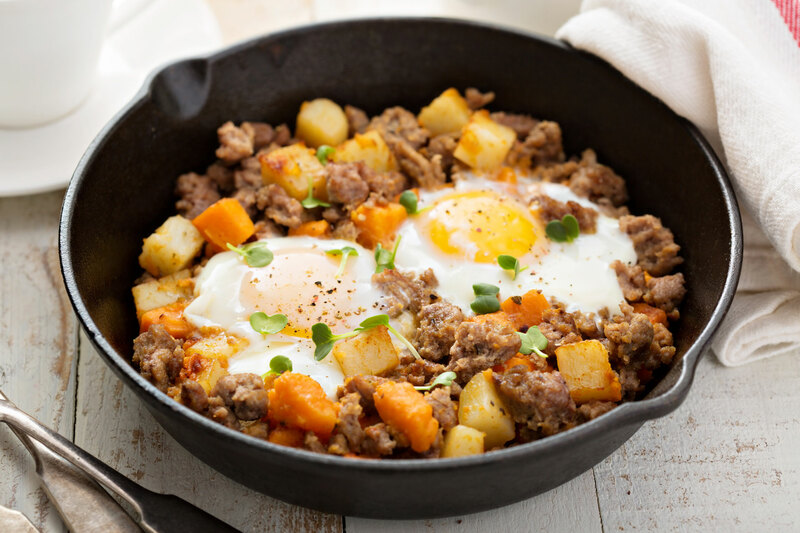 Check out The Thrifty Cookbook and Love Your Leftovers for more ideas on repurposing leftovers into new dishes. Learn to store foods properly to keep them fresh as long as possible. Check out Save the Food’s Food Storage Directory or print Eureka! Recycling’s quick reference sheet to stick on your fridge. 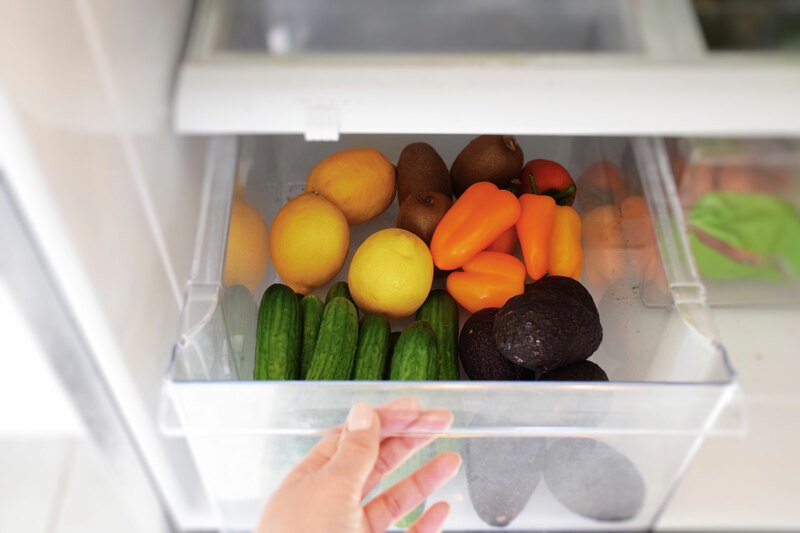 In general, don’t wash vegetables before storing; store dairy items in a cool part of the fridge like the back of the top shelf; and cut off the tops of root vegetables to extend shelf life (but use the greens in salads, pesto and smoothies!). And, remember to store foods that emit ethylene gas — like apples, bananas, citrus and tomatoes — by themselves as the gas makes other foods spoil faster. Sometimes — as in the case of the fuzzy mystery food decomposing in the back of the fridge — it’s clear that food needs to be discarded. But often, perfectly edible food is thrown away due to confusion about expiration dates and/or unjustified fear of spoilage. Labels such as Best By, Use By, Sell By and Expiration (EXP) are not food safety dates — they’re established by food manufacturers to provide an indication of “peak quality.” And they’re not regulated or required by the federal government (with the exception of “Use By” dates on infant formula, which are regulated by the FDA, and “pack dates,” which are required on USDA-graded eggs.) Find shelf life estimates for just about any food at Eat By Date and Still Tasty. When in doubt, use your eyes and your nose: if a food looks spoiled or smells off, breathe a sigh of sadness and add it to your compost pile. If you have just too much of something to use up before it goes bad, preserve it. Turn a garden full of basil into pesto, extra vegetables into pickles and a bumper crop of stone fruit into jam. Keep peels and scraps from onions, carrots and other vegetables in the freezer and turn it into stock when you have a full bag (or leftover chicken bones). Canning, pickling, dehydrating and fermenting are all good ways to preserve your food. We’ve got more ideas over in our Cooking with Waste section. Learn how with recipes and tips. The easiest preservation method is the freezer, and it works with most foods. Store leftovers in airtight containers with as much air removed as possible, and be sure to label before you freeze to avoid the guessing game when you thaw. You can freeze bananas (remove peel first), hard cheese (grate first), vegetables (blanch first), bread (best if pre-sliced), yogurt (give it a good stir after thawing), milk (low fat or skim freezes better and give a hearty shake after thawing), grapes, ginger, chilies, herbs and lots more. Find more freezer tips at Love Food Hate Waste. Feed edible food to people. Share extras with family, friends or coworkers, or donate it to a food bank, food pantry or shelter. If your garden yields surplus produce, use AmpleHarvest.org to find a local food pantry that can give the food to those who need it most. Whatever you do, keep that food out of the landfill! Whether you collect food scraps to bring to a composting center or compost at home, composting transforms food waste into a valuable soil additive. Check out our guide for composting to get started.